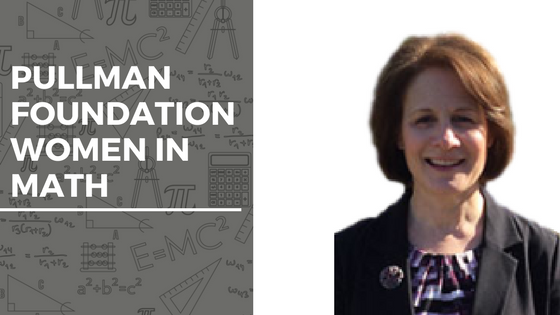 Pullman Scholar Alumna Kristen Schreck, Illinois Institute of Technology, ’87, shares her experience in Math and how she’s teaching future mathematicians. My love of mathematics and physics was inspired by my professors. In high school, my parents brought me to our local library to research careers. It was there that I discovered Electrical Engineering (EE). Soon after, I met some engineering students to learn more about the profession. While at IIT (Illinois Institute of Technology), I was fortunate to be part of a group of young women who were engineering majors. We developed projects for the WISE (Women in Science and Engineering) summer program at IIT for young girls. It provided the opportunity for young girls to see that their educational and career possibilities have no bounds. After graduating from IIT with a B.S.E.E., I worked at Sargent & Lundy, LLC in Chicago as an Electrical Project Engineer on a nuclear power plant project. The work was exciting and challenging. However, in my heart, I knew I wanted to further my studies and teach someday. I thought that being a professor would be the ultimate job. Different events and some very instrumental people came into my life which led me to graduate school at UIC (University of Illinois at Chicago) where I earned an M.S. and a Doctorate in Arts (D.A.) in Mathematics. Learning mathematics has been my infinite quest that has culminated in guiding students to discover its secrets. Currently, I am an Assistant Professor at Saint Xavier University and advisor to the Archimedeans Math Club. As a member of the Leadership Team for the Southwest Chicago Math Teachers’ Circle, I collaborate with local college faculty and middle school/high school math teachers on challenging and interesting math problems. Kristen’s students from her Multivariable Calculus course last fall in which 3D printing was introduced. One of my most important teaching endeavors is to bring the mathematics to life for my students. Last summer, I became an Ultimaker 3D Printing Education Pioneer and was awarded an Ultimaker 2+ 3D printer for my courses. I have written lessons incorporating 3D printing into my Multivariable Calculus curriculum. To see students hold and investigate surfaces they designed and 3D printed using the mathematics was amazing! In my Modern Geometry course, students will model and 3D print constructive geometric solids and my Senior Seminar student will be designing and printing 3D models related to manufacturing from the theory of Lagrange Multipliers with business applications. My goal is to develop a service project for students to use 3D printing to help communities. Being a woman in engineering and mathematics has been a most fulfilling experience for me. Follow your passion, use your talents to the best of your ability – always keeping that focus – and have faith that what you are doing is good work. Ever since I was ten years old, I’ve had a fascination with Albert Einstein. My advice to math majors comes from Einstein, “It’s not that I’m so smart, it’s just that I stay with problems longer.” It’s all about persistence, perseverance, and using your prior knowledge and experience when working on math problems. It’s also very helpful to work on problems together with fellow students. Get to know your mathematics faculty. Math teachers love working on problems with students in and out of class – it’s why we chose this profession!